Back from Kiev and a relatively comfortable 8-0 aggregate win over Dynamo Kiev, Chelsea resume their Premier League campaign with a trip to Goodison Park, to take on Everton, this afternoon. 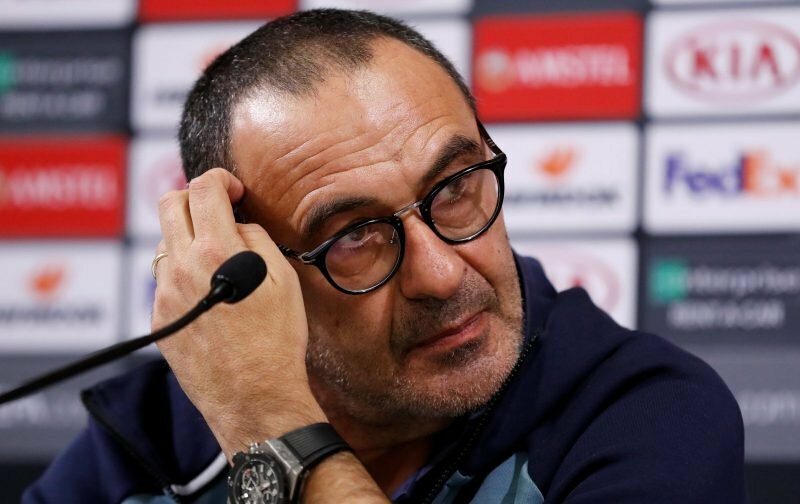 After dropping points, at home to Wolverhampton Wanderers last weekend, Maurizio Sarri will be looking for his side to get all the three points on offer at Goodison Park. With nine Premier League games to go, Chelsea still have a marvellous opportunity to claim a top-four place and a spot in the Champions League next season. However, it is imperative they don’t slip up as Arsenal, Manchester United and Tottenham Hotspur will, gleefully, capitalise on our misfortune. We really are at that time of the season where mistakes can be so costly. With the kick-off looming large and Goodison Park starting to fill up, we are now able to bring you the team-sheets to mull over. I was not expecting Chelsea to win with the team our super duper clever and renowned stubborn Manager started the game. What on earth is needed for this manager to be stopped destroying our club? He has no abilities and no player is respecting him. He can’t lead the players, he can’t thrill them, he can’t make them give their 100%. In plain English, he is a long failed Coach and he must be sent back to Italy. He will never produce anything and he will force most players to move to other teams. He is a complete disaster unknown to us the supporters. If he had started with Odoi, Loftus, and Andrea we would certainly have better results guaranteed. But my wife Italian did say that he is stubborn and he will never change, so in the name of our club and the name Chelsea he must go and anybody else would suit better our purpose.